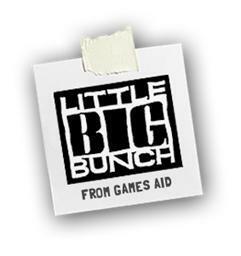 The previously mentioned littleBIGbunch has been deemed a huge success by its creators GetGames and GamesAid. The bundle ran from December 14 through January 2 and included Frozen Synapse from Mode 7, Serious Sam Double D from Mommy’s Best Games, Explodemon from Curve Studios, New Star Soccer 5 from New Star Sports, and Munch’s Oddysee from Oddworld Inhabitants. Over 20,000 gamers registered for the bundle that allowed for deciding how much they spent and how it was divided between developers and the GamesAid charity. The creators behind the bundle are already planning a littleBIGbunch 2 to launch this year.